Note: Please be aware that Wellfleet and other towns may require parking stickers to park at many of the locations. Please check with authorities before heading out. 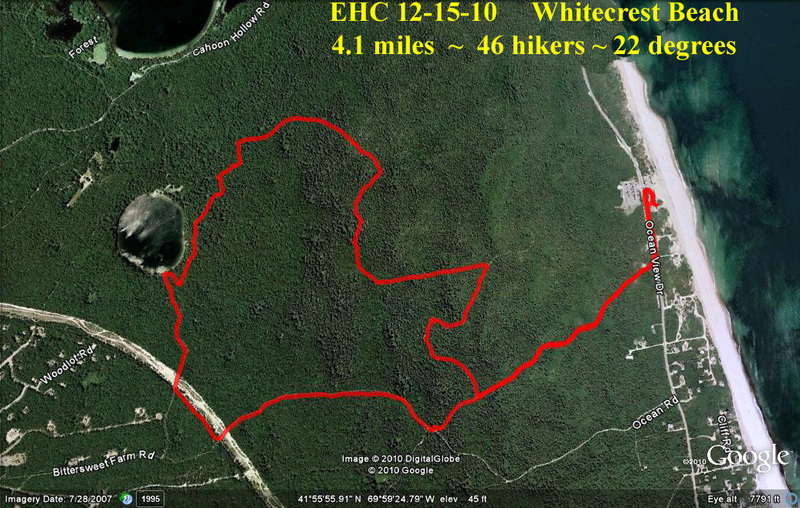 Note 2: There are many trails criss-crossing in this area. 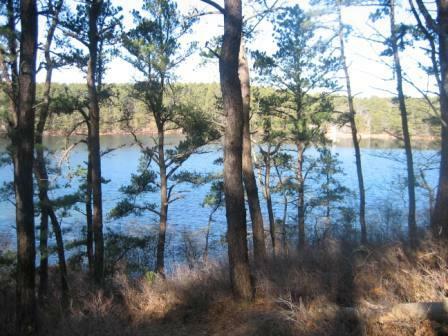 Be aware that this area is bounded on the north by Cahoon Hollow Road, on the east by Ocean View Drive, on the south by a dirt fire road that runs between the power lines and Ocean View and on the west by the power lines. 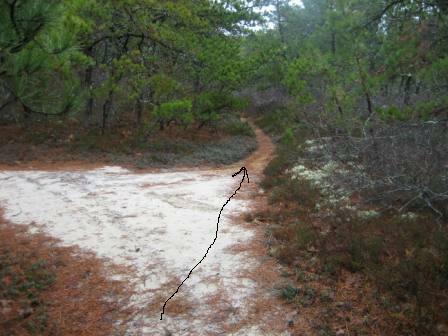 continue straight until you get to 1st fork with yellow markers, go RIGHT and follow them. when you get to the next fork with yellow markers go STRAIGHT. at the next intersection with yellow markers, go left. 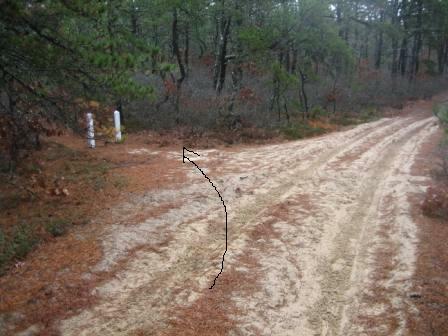 If you go right and follow the yellow markers you will end at Cahoon Hollow Rd near Great Pond parking lot. Just before next turn you will a large log across the trail. 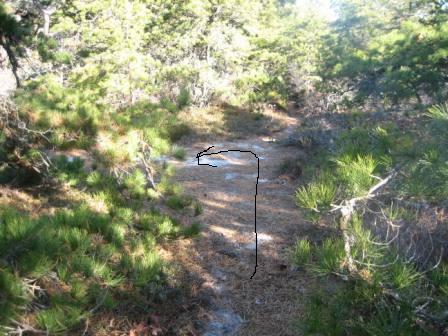 It was cut into smaller sections which remain next to trail. 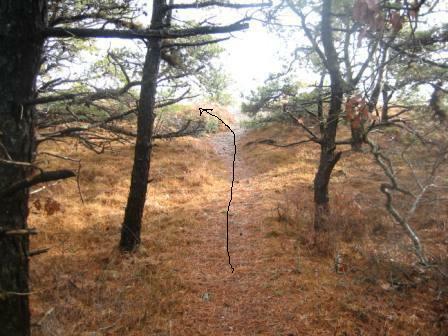 Just after that landmark, turn LEFT at top of hill and head south. take the next (quick) RIGHT. at the next fork go left. Soon you will be able to see Duck Pond. Take the next RIGHT, the next LEFT, the next RIGHT. Continue until you get to a split rail fence. Go RIGHT to pond or LEFT to parking lot. 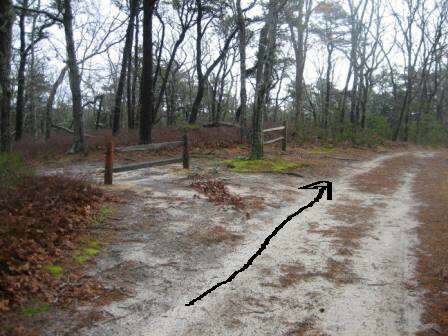 Stay on fire road for ~1/2 mile passing a split rail fence on left, then take LEFT at path into woods at 2 white cement posts.